:: The One Where We Moved..
:: The One With Zidane..
:: The One With The Game..
:: The One With How Old Are You?.. Guess what.. New year, New home.. Check us out here! Last nite while i was watching football in full concentration, faeq craved for attention.. so cute he is in his spidey pyjamas but chelsea were 2-1 down to off-form tofees.. thus i practically ignored him..
Then he started to do the Zidane, headbutting my chest.. ahahahaahaha.. cutie pie.. i responded with asking help from mummy.. and he laughed.. do it once, sooooooo cute, i love you.. do it twice, still cute, do it once more, ok, daddy wanna watch the game, it's 2-2 now..
hopefully he'll be a fantastic footballer like zidane but less temper.. I'm currently watching a handball match between Bahrain and Macau. Premelinary round of Doha 2006 Asian Game.. Bahrain is currently demolishing Macau in a very one-sided game.. Gosh I miss this game.. The last time I played this game was yearssss ago.. SUKMUM 2000.. I represented 7th college, beating then favourites 2nd college and won our SUKMUM championship medals, the second times in three years.. heh.. quite an achievement back then..
Handball, is not a very famous game especially among Malaysian.. I know there's some groups of people try to make this game to be more popular but it is still not widely accepted.. I dont know.. might be because Malaysian more interested in games using their foot or prefer to use their hand doing something else.. *wink*.. For me it is a very fun, tough and fast game.. and always be my favourite game..
Just a week to raya and I banged Mama's Matrix.. some very visible damage on bumper, headlights and spotlights.. and worst damage, my wallet..
really bad timing.. huuhuhuhuh.. stress stress..
With Hari Raya is 10-days away, I couldnt stop noticing many men in white and black uniform standing by the roadside. Sometimes they stop motorist for god knows what reason. Hopefully for a good one and not for their duit raya if you know what I mean..
Perhaps it'll be perfect timing as well for ACA/BPR to launch their OPS Ubah Sikap..
Look carefully at this flag.. you might notice this flag during world cup season.. it is Ecuador's national flag.. 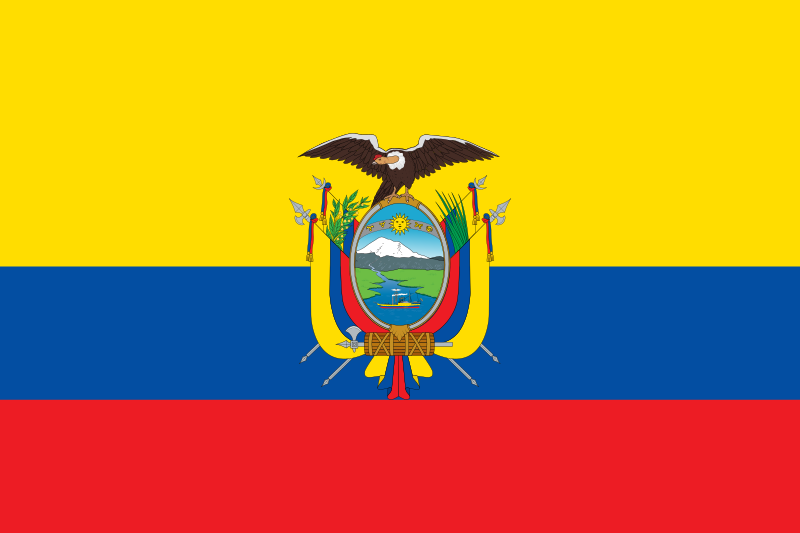 However if you saw flags something like this hanging around nationwide beginning next week, dont get confused.. it might not be Ecuador flag but may be it is the new Federal territories flag which will be launched this Sunday by DYMM Yang di Pertuan Agong at Dataran Merdeka.. Previously Federal Territory of KL, Putrajaya and Labuan have their very own flags.. The new flag, has three colours, yellow - respect soveireighty and honour, blue - unity, sincerity, stability and harmony, red - strength bravery and energy.. with national emblem in the middle and three stars representing the three federal territories..